Works at Studios 301 (2012). 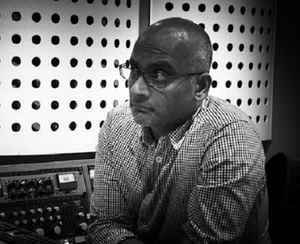 Sameer, AKA 'Pocket808', has mastered for Ministry Of Sound, Tensnake, Axwell, Mark E, Chris Duckenfield, Luke Soloman, PNAU, Itche & Scratche, The Lost Valentinos, Infusion, Hook N Sling, as well as remixes for Australian rock and pop artists Faker and Havana Brown. As well as a successful background in producing his own music, Sameer has long been called upon to consult, produce, mixdown and master works for artists including Goodwill, Q45, Kid Kenobi, GT, Jump Jump Dance Dance, Bang Gang, the Aston Shuffle, Sneaky Sound System, Paul Mac, Itche & Scratche, Tydi, Jamie Lloyd, Faker, Infusion and countless others.